Mr. Fernando Poitevin is the CEO of LATAM Airlines Colombia, since September 2015. Previously he served as Chief Operating Officer of Cargo for LATAM Airlines Group, from 2012 to 2015, based in the company’s Cargo headquarters in Miami, Florida. Mr. Poitevin has fifteen years of experience in the airline industry. 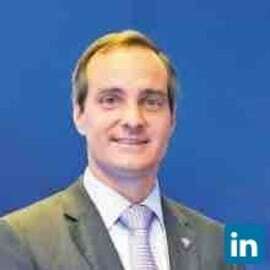 After holding different management positions in Finance and Planning for United Airlines for three years, he joined LATAM Airlines in 2005, as Director Financial Planning for LAN Argentina. He later held the position of Chief Financial Officer of LAN Argentina, VP Finance and Planning of LAN Cargo Group, and COO of LATAM Cargo. He has a Bachelor’s Degree in Science from the Instituto Tecnológico de Buenos Aires and an MBA from Kellogg School of Management, Northwestern University.